PARK CITY, Utah, April 17, 2018 /PRNewswire/ — LuMee LLC, creator of the original patented, illuminated LuMee®, LuMee Two™ and LuMee Duo™ cases, today launched the KIMOJI X LUMEE collection. This collection marks the first official collaboration between LuMee and Kim Kardashian West. Today, a single installment of the KIMOJI X LUMEE collection, the fan favorite «Kim Crying» Kimoji case, is available for purchase exclusively on Kimoji.com, with the entire collection available for pre-sale on LuMee.com at 3:00 PM PST – the official on-sale date for LuMee.com will be May 3rd – for $79.95. 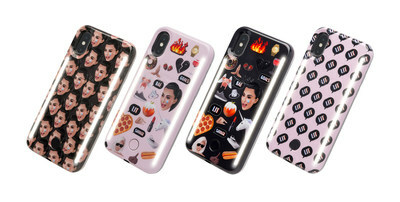 The collection offers four different designs featuring an array of Kim Kardashian West’s widely popular Kimoji’s, including: «Lit,» «Black Collage,» «Rose Collage» and the widely popular «Kim Crying» Kimoji, all cases are available for the iPhone 6/6s/6 Plus, 7/7Plus, 8/8Plus and X. The KIMOJI X LUMEE collection is the first collection that LuMee and Kim Kardashian West have designed together from start to finish and is a true example of the amazing relationship they have built. Fans will now have the opportunity to take home their own piece of the dynamic duo through this collection, and have all of their photos and videos perfectly lit. As with all LuMee Duo™ cases, the KIMOJI X LUMEE collection features LuMee’s patented front and back facing, professional quality, LED lighting with an adjustable dimmer, allowing all mobile photographers at any skill level the ability to customize their lighting preference for each photo and video. LuMee Duo™ cases are the ultimate tool for taking studio quality, flawless photos and videos from either side of the lens. LuMee® is one of the fastest-growing consumer electronics accessories and lighting companies in the world, with a line of smartphone cases that enable users to capture professional quality images and create optimal conditions for video chatting. Since the 2014 launch of the LuMee® Case, the brand’s flagship and patented front-facing LED lit smartphone case, the company has caught the eye of celebrities and trendsetters like Kim Kardashian West, who rave about the product’s ability to achieve the perfect smartphone photo. Creative Director and Inventor Allan Shoemake, a professional photographer who has taken pictures of many U.S. presidents and celebrities, devised the concept to improve mobile phone lighting in his own life; now, the company, based in Park City, Utah, is revolutionizing the way mobile photographers of all skill levels shoot images on their smartphones. LuMee cases range from $49.95 to $79.95 and are available in many colors. 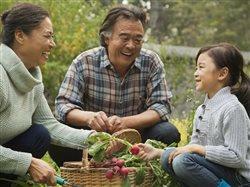 To order LuMee cases and other accessories, or for more information, visit LuMee.com.